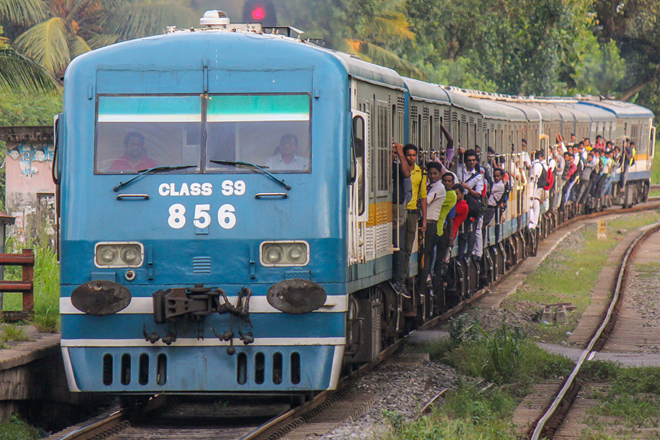 June 05, 2017 (LBO) – Sri Lanka’s state-owned Railways Department said 1.46 billion rupees is yet to be collected as lease arrears for land owned by the department. The Railways Department manages nearly 13,000 acres of land, of which 1,934 acres have been leased out to 6,400 users, as this land is not necessary for immediate railway operations. Even though lease rents should be collected by the department annually, leases are collected actively only for 155 acres utilized by 1,800 users. Less than 10 percent of the identified land has been leased out; 80 percent of the remaining railway reservation lands falls under unauthorized use. The usage of land varies according to whether it is residential, business, cultivation and sacred, and assessment values vary accordingly. It has been observed that many of the users have low incomes. As a solution, Transport Minister Nimal Siripala de Silva in a cabinet note has introduced a concessionary method to recover lease arrears. “It will be an inconvenience to answer the inquiries of institutes such as Attorney General’s Department and FCID if actions are taken to give concessions regarding collecting of lease within the current establishment system,” de Silva noted. Accordingly, cabinet approval has been granted for the following three proposals in recovering lease dues. The cabinet has also decided to take legal action under State Lands (Recovery of Possession) Act to evict users who do not pay up.